Life is simply beautiful on Spetses. The relaxed rhythm of the town hits you immediately as you get off the boat from Athens or the Peloponnese, taking you through busy coffee shops by the port to the quiet gardens and little shops beyond the waterfront. This is a unique island, perhaps only somewhat close to its sister Hydra, but very different from all others in Greece. Instead of whitewashed houses and blue-domed churches, you are met with glorious mansions of past eras, horse-drawn carriages and rolling green hills that look down to the bluest of beaches. 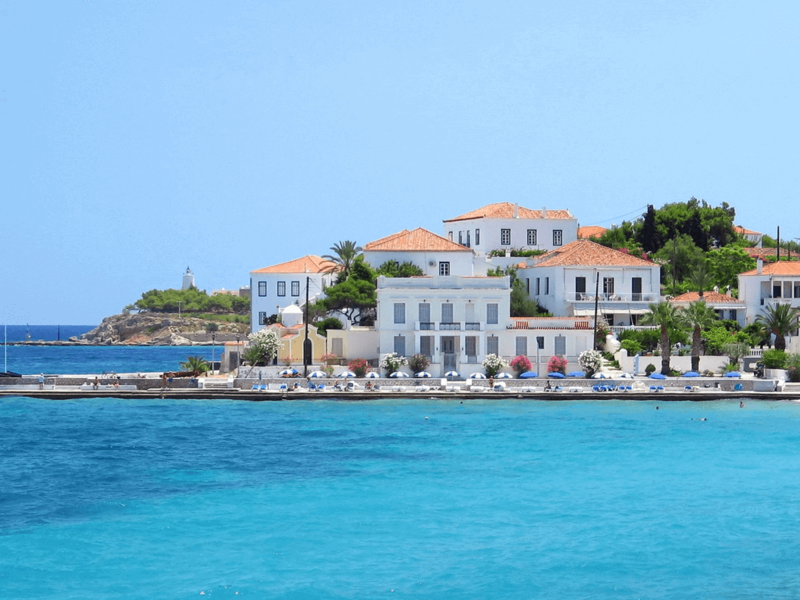 Spetses has a rich naval history, once famed for its resistance in the Greek war of independence against the Ottomans, and for centuries a mighty player in trade and shipping. Its rich captains built some beautiful mansions, many of which have become museums or even hotels. Thanks to its illustrious history and current cultural presence, there is a certain air of sophistication that hangs over the island, attracting a different kind of crowd than those that just seek the sun and the sand. You will revel in the town’s museums, open air cinemas, cultural events and bike friendliness, as well as in its seafood-based cuisine, hiking paths, monasteries and landmarks. The magic of the island was captured in the travelogue of one of our writers who went there for a visit:At first, a three-day trip to Spetses was planned as a break away from civilization, a time for quiet introspection and some quality time to sit and write on the breezy veranda of the charmingly modest Villa Anessis. This small room with an unproportionally large terrace at the back of the town, yet only five minutes away from the centre by foot, seemed to be the perfect locale for a bit of solitude on the island. But Spetses had other plans in mind for me, apart from swimming in its pristine beaches and admiring its forlorn 19th century mansions. As I went to rent a bicycle from what turned out to be a motorcycle shop, the hospitable and welcoming Alexandros insisted that I borrow his bike instead, as bike rental shops on the island had run out that weekend. What was supposed to be a five-minute transaction turned to be a two-hour conversation about life, plus the ins and outs of cycling around the island. A long bike-ride later as the sun set over the island, I came across an open-air cinema that called to me with an adventure movie about a group of escapees from Siberia during the Second World War and their excruciating yet fascinating trek through deserts and mountains to reach freedom in India. The gardenlike cinema under the starry skies of Spetses seemed like a surreal venue for such impromptu entertainment. And then there was the food. The blue-chaired taverna by the sea, adjacent to the fresh fish market, reminded me what good seafood was about. Still, I couldn’t resist a plate of eggplant ‘Imam’ with sautéed onions and tomatoes, obviously a dish whose name betrayed its Ottoman origins. Nearby, the Hotel Klimis and its café, famous for its homemade almond cookies or Amygdalota with orange blossom extract, were unsurpassable. Klimis’ donut-like Loukoumades doused in honey and sprinkled with chopped walnuts would have to wait till tomorrow. In another cultural twist, I was fascinated by posters on walls that announced a free opera recital by prize-winning Greek opera singer, Dimitris Paksoglou, at the garden of the Laskarina Bouboulina Museum (named after the famous Spetsiot war heroine from the 19th century). The tenor stunned me with the powerful voice, presenting captivating selections from Aida, Carmen, Tosca, Tchaikovsky and others. Although I am not an really opera buff, when the elderly elegant lady in front of me couldn’t hold back her tears as Dimitris sang Je Crois Entendre Encore from Bizet’s Les Pecheurs de Perles, I struggled to hide my own watery eyes from betraying any emotion.In a white-walled garden surrounded by bougainvilleas, jasmine, pines and olive trees, Dimitris was coaxed back to an encore where he outdid himself with two pieces by Mikis Theodorakis – Poli Magiki (Magical city) and Omorfi Poli (Beautiful City). The audience softly joined in, and even the lone Mediterranean palm tree seemed to lean towards the tenor in approval. This was a Greek magical moment par excellence. 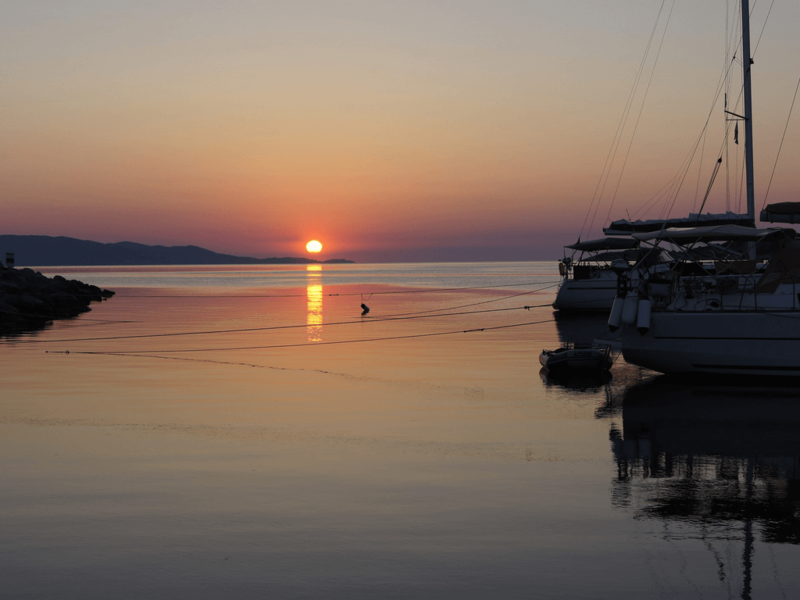 Spetses does not want to compete with the wild nights of Mykonos and Ios, or the sunsets and wine producers of Santorini. It dares to be itself, an authentic Greek destination peppered with a smattering of seemingly refined French and German tourists who have come to understand its charms. A meeting with a gentleman from the Town Hall, which directed me to a Spetsiot personality, Mr. Charitatos, proved very rewarding in teasing out the secrets of Spetses. Charitatos had written a book in Greek about Unexplored Spetses (Road Editions) and had much to share about the islands. Thanks to his tips, I headed to another undiscovered beach, but not before biking up to the hidden bakery and pastry shop where the renowned Anastasia Boufi is reputed to ‘bake with love’. I also sought out the Ayii Pantes (All Saints) nunnery and monastery and chatted to a kindly nun, then traced the hiking paths that the island’s ‘conscientious bird hunters’ have kept in good shape. The old port where traditional shipbuilders make wooden boats also beckoned to me, as did the little shops in the alleyways and their friendly folk who delightfully engage in conversation at every opportunity. 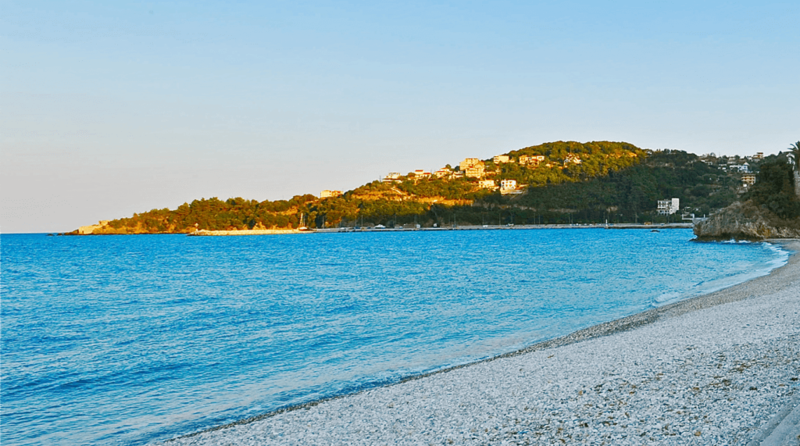 This surprising vibrant mix of nature and culture in a laid-back atmosphere may well become one of my most favorite island escapes in Greece, even if I say this at almost every Greek island I visit. If you do go to Spetses, here’s a head start on what else to do apart from what’s mentioned above: buy the fabulous thyme honey from the central grocer ‘O Tzimanis’, visit the health-food store Mandragoras around the corner, get a haircut at the amazingly traditional barbershop called ‘O Nikos’ and admire the Clock Tower off Clock Square. Rent a bike or hike up to the Monastery of Ayii Pantes, and discover the mysterious statues around the island depicting a mermaid, Bouboulina, Barbatsis and other figures or personalities. You must visit the old ship-building port of Dapia with intact canons that once protected the island. Beaches abound, some with infrastructure such as umbrellas and a beach bar, others just empty and waiting to be discovered by scooter, car or bike. There are some uphill stretches if you want to cycle around the island, but it can be done. Take a big cold bottle of water with you if it’s in summer. Digging deeper into the island’s secret treasures you will find other gems like the Bekiris Cave used as a shelter during the revolution against the Ottomans, Panaghia Elona or the Fountain of Love, lonely windmills on the hills, and a lighthouse built in 1837 right in the heart of town. Lastly, it is worth mentioning the Armata Feast on September 8 where the whole island transforms itself into a big celebration to commemorate the victory of the Battle of Spetses over the Ottoman fleet. In conjuction the island honors the Virgin Mary of Armata, complete with cultural festivities and entertainment that last a whole week. The warm and friendly people of Spetses are the cherry on the cake.